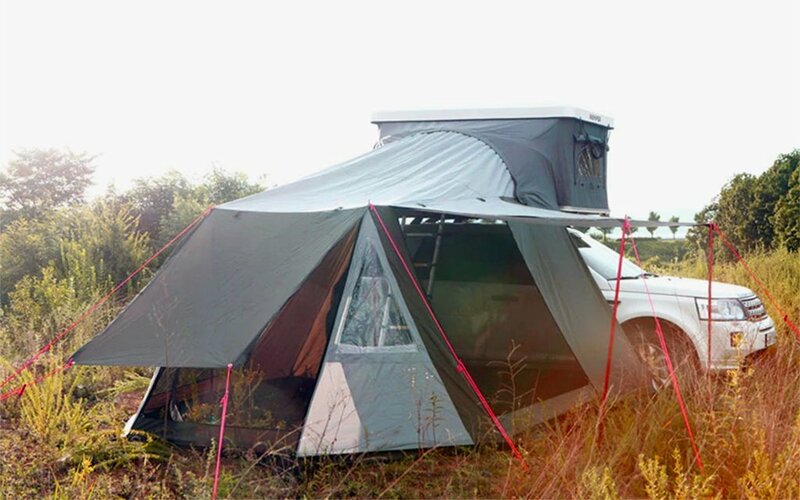 Kerouac-Inspired Rooftop Tent Seeks Mad Ones. Apply Within. 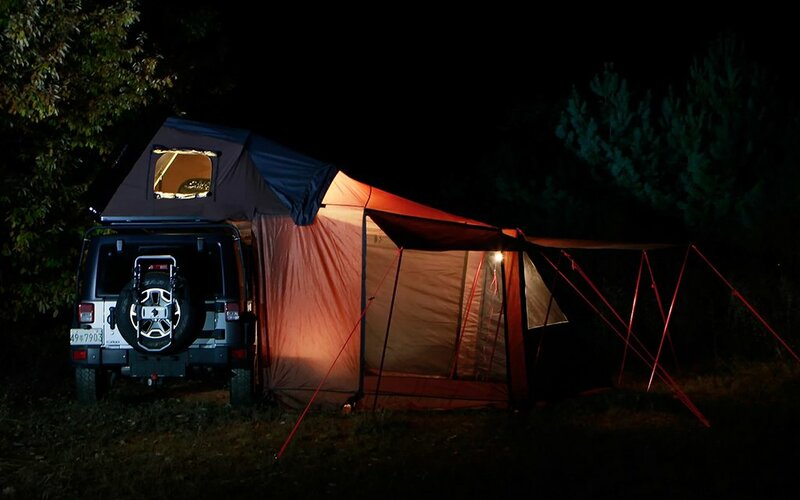 Go off the grid. Live in a treehouse. Cook something over a fire. And don’t forget to Instagram it all. Carpe diem is having a moment right now. And this spiffy number isn’t helping us hold tight to our day job one bit. 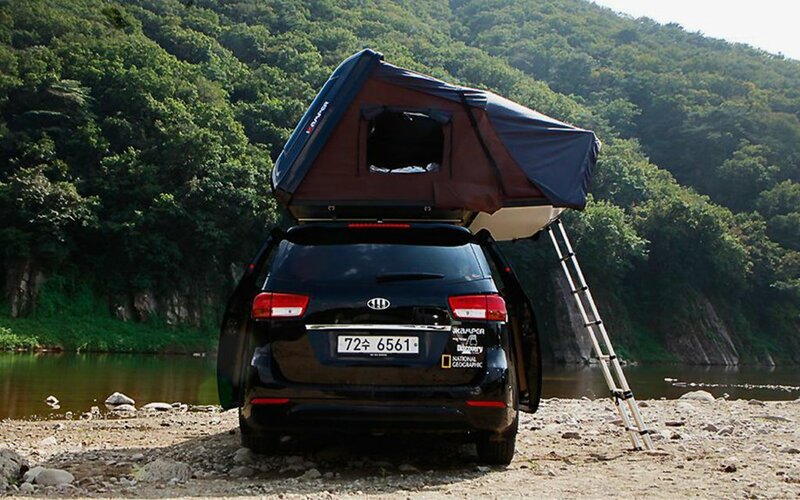 The iKamper Skycamp rooftop tent is the newest in portable architecture from designer Soon Park. His company’s third innovative product (now with a window!) since 2004, preorders begin Feburary 27th and are priced starting around $2k. 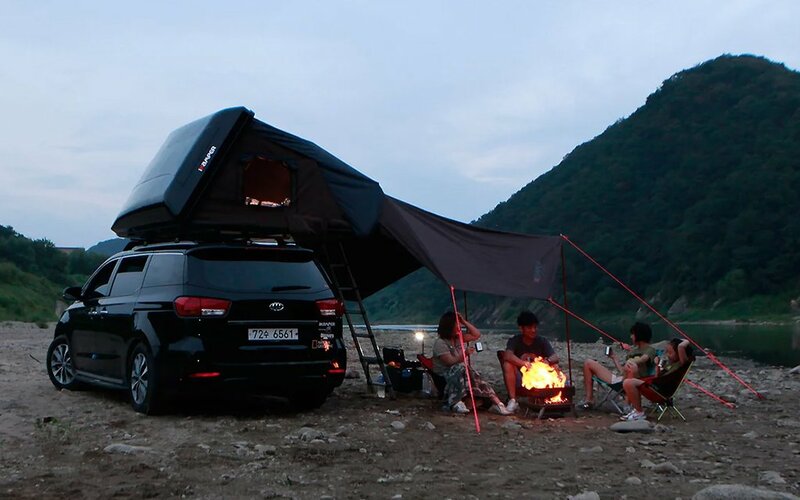 Park was inspired by Kerouac’s On The Road, the beat generation tale of self-exploration, and accordingly, his design allows for maximum travel freedom. 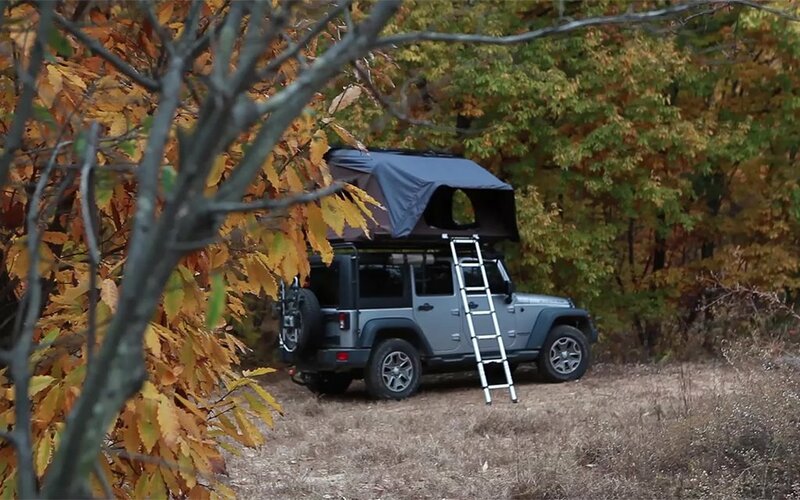 It sets up in moments, withstands the elements and can easily be detached from a vehicle. 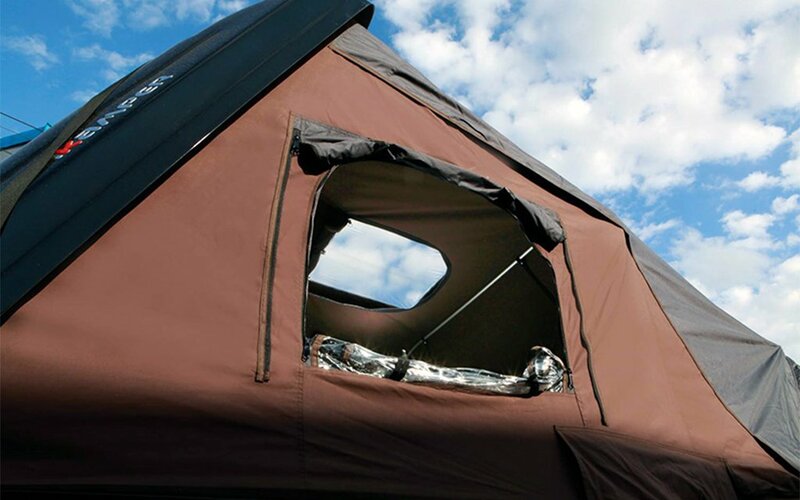 An adventure enthusiast, he seeks to share the novel’s lessons through his tents. So, hell, maybe they do come with an existential quest after all.